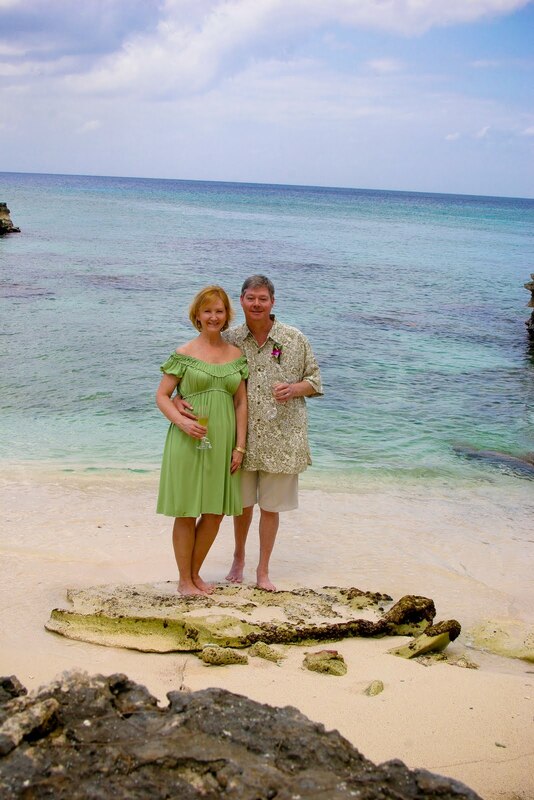 As you are aware, Peggy and I were both away during Easter, although not at the same time except for the actual weekend. 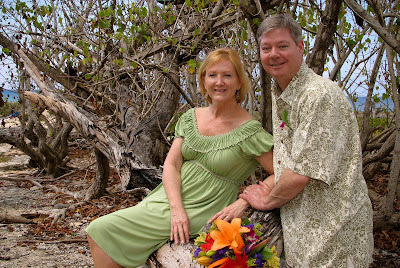 So she was away when I received the enquiry from this couple about a wedding on 6 April. 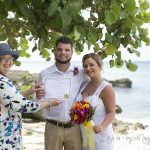 This was a San Antonio couple who had decided to get married while on a cruise, and who wrote to us literally days before their chosen wedding date. 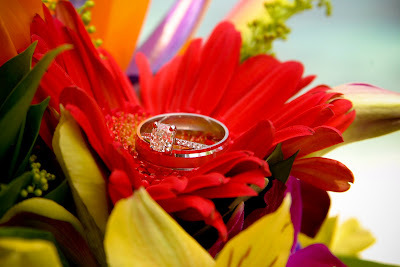 "Will you be my partner...for the rest of my life?" 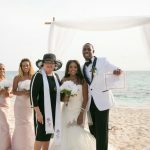 I saw an article in the New York Times travel section over the weekend, in which one of the wedding gurus advised people to get married at the court-house before they came on a cruise. 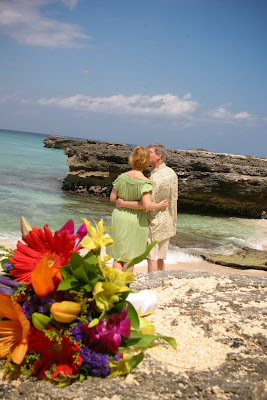 There is ABSOLUTELY NO REASON to do this, if in fact you want to get married in the Cayman Islands. 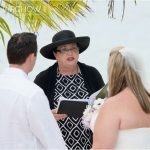 This is because a wedding in Cayman is easy, quick, efficient and legal! 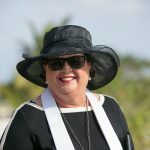 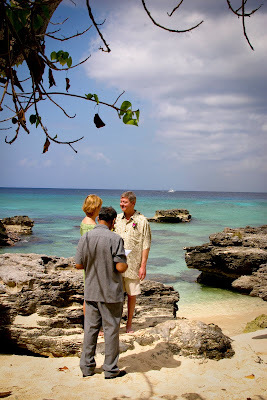 Every week I try and show couples just how easy, and how beautiful a wedding in Cayman can be. 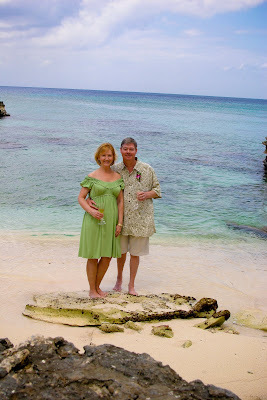 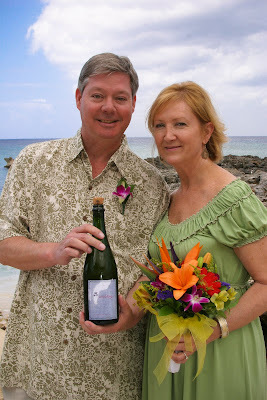 This couple chose our "All-inclusive Cayman Cruise Wedding Package" for their Destination Wedding in the Cayman Islands. 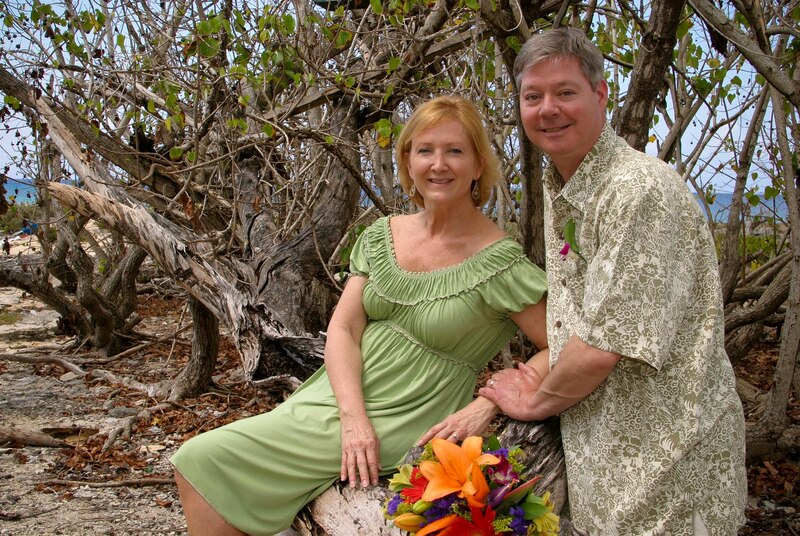 We meet them near the cruise landing, take them to our office to get dressed to complete the documentation for their Special Marriage License and to pay the balance on their account (We require a $250 deposit to book your date and time), then take them to the wedding location, and afterwards back to the cruise landing. This package includes, photography, flowers, witnesses, and chilled champagne for toasting as well as the legal requirements to be married in the Cayman Islands.